Tocasaid: Its twins! Royal babies to take power! Its twins! Royal babies to take power! 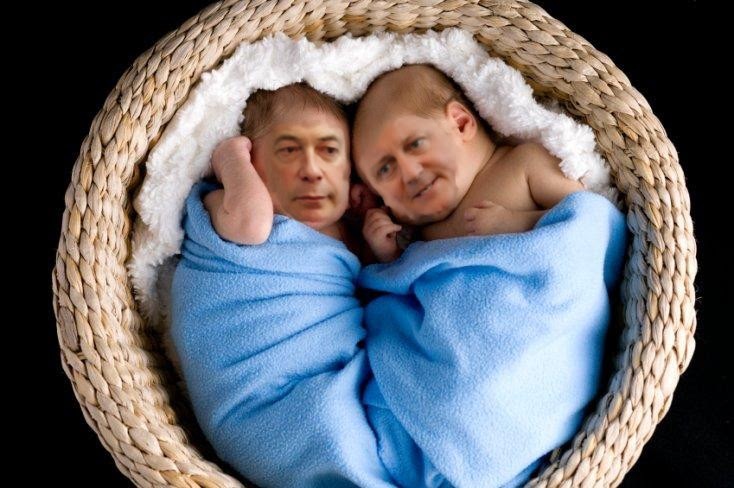 We are privileged to reveal that the Royal Baby is not one but two! They are very premature but in a panic to avert Scotch independence, Princes David and Nigel will be installed on the Downing Street throne. Though young, Downing Street PR gurus with help from Gordon Brown, have advocated a 'back to basics' approach to the coronation. Brown is said to have alluded to the sorry tale of the Maid of Norway who became Queen of Scots at the age of seven. The previous heir to the London throne, Prince Boris, is thought to be considering a reality TV show which he would co-host with the reputed anti-Semite, George Galloway. Let's do it. Vote Yes.